While some elements of Budget 2017 have been positive environmental groups say the measures do not go far enough. For the first time in seven years climate change was mentioned during the Budget speech as a number of new measure aimed at encouraging a low carbon economy. The continuation of relief for electric and hybrid cars. Incentives for larger vehicles to switch from diesel to natural gas. Relief from the carbon tax for solid fuel with a biomass element. Full relief to fuel inputs to combined heat and power plants. Additional €50m in capital spending to assist the new renewable heat initiative, better energy grants as well as the electric vehicle subsidy. The agriculture environment scheme GLAS is to be increased by €69m to €211m. The Environmental Pillar, an advocacy coalition made up of 28 national environmental NGOs, say these measures do not go far enough and action is needed across all areas to meet our targets. 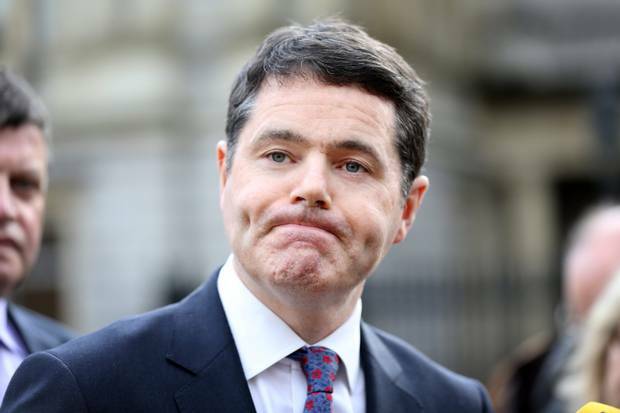 In a statement they said: “Minister Michael Noonan emphasised the need for a prudent budget to avoid the failures of the past but the budget cannot be considered prudent if it is not fair for future generations. “Ireland is one of only two European countries who are on course to miss their 2020 emissions targets. “The subsidies that were announced to provide relief for efficient combined heat and power stations are positive but we need to harness the power of every person to reduce energy and every building to produce it. “To meet the scale of the current challenge we need incentives for homeowners, farmers and communities to become renewable energy producers themselves. “Also to deal effectively with climate change we need to strongly incentivise reductions in energy use in our homes and work places. No incentives to reduce consumption, waste or pollution. No mandatory feed-in tariffs for renewable energy producers: homeowners, farmers or communities. “Government speaks about delivering a budget for a fairer society, but we contend that we must embrace a budget for a fairer society for future generations. “While we are encouraged by the pronouncement to achieve a low carbon society by 2050, we must lay the foundations for this new society now through increased investment in community renewable energy projects and through robust energy efficient retrofit programme for existing housing stock. Green Party leader Eamon Ryan also criticised the budget for what he said was a lack of ambition on climate action. “We are increasingly shamed in the international community for our lack of action on climate change. This budget makes things worse. There is no increase in overseas aid.